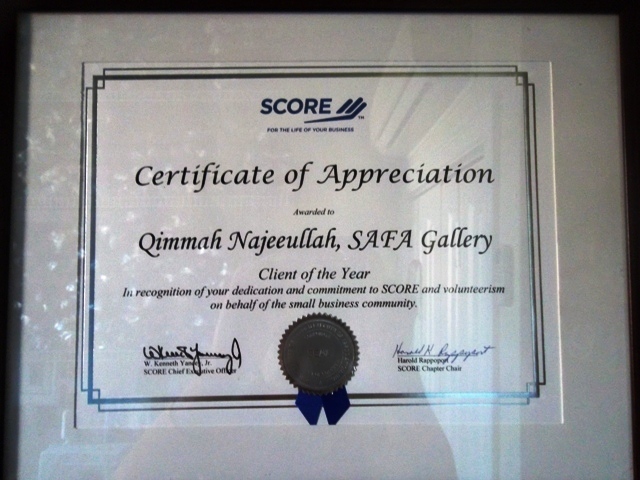 ctober 3rd, 2012 – The Local Baltimore Maryland Chapter of SCORE (a National non-profit sponsored by the United States Small Business Administration ) presented SAFAGALLERY and principal Qimmah Najeeullah with their Client of the Year Award. ans award ceremony was held at the Radisson Hotel at Cross Keys, in Baltimore MD. 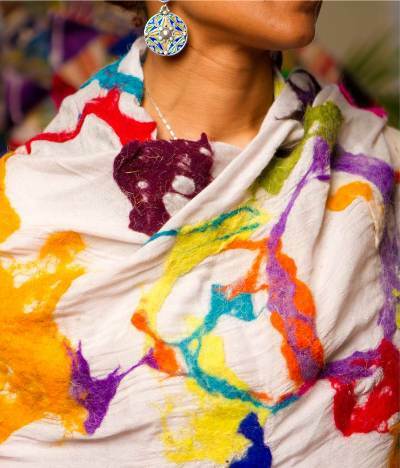 example of fair and sustainable business practice between US women – minority own businesses and small and artisan-manufactures in Africa and its Diaspora. The crowd loved it!